Create an ambiance that will bring your workspace together with Expose literature displays. These wood displays with clear pockets naturally make Expose a perfect fit for every work environment. Each pocket has removable dividers, so you can easily convert them to hold pamphlets or literature, creating a display that will meet all of your workspace needs. Use any of these styles together or separately to create a literature display that works with your space. Use the Expose literature displays from Safco to outfit your lobby, reception area, waiting room, with magazines and pamphlets. Providing easy access, visibility, and convertibility, Expose displays are a great solution for virtually any business. 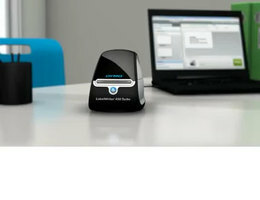 The DYMO: LabelWriter 450 Turbo comes with a variety of features, and can be used for a multitude of label-making applications. Check out the video for more information. An excellent addition to any large scale or quick-service food operation, this microwave boasts 1000W of heating power and offers plenty of room for anything from beverages to soups and sandwiches! 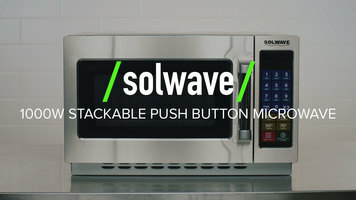 Watch this brief video to learn more about this push button microwave. 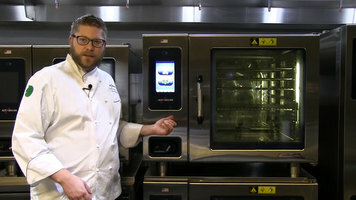 Cleaning your Alto-Shaam combi oven, or descaling your boilerless oven may be important, but it sure is easy! Here Chef Ryan Norman walks you through the process, step-by-step, showing you just how simple running a cleaning cycle really is.